Lanson Hoopai is a graduate of Patrick Henry College, earning his major in government and his minor in philosophy. 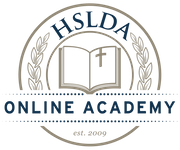 He is also an alumnus of HSLDA Online Academy. He worked extensively with Generation Joshua in high school and helped lead a GenJ Student Action Team as a college student. He has worked on numerous political campaigns and has had a paper published in the PHC undergraduate philosophy journal. He currently works at HSLDA as the editor for their quarterly magazine, the Home School Court Report. His hobbies include fixing computers, reading classic literature, and playing trading card games. He is incredibly excited to be leading students in their study of American government!